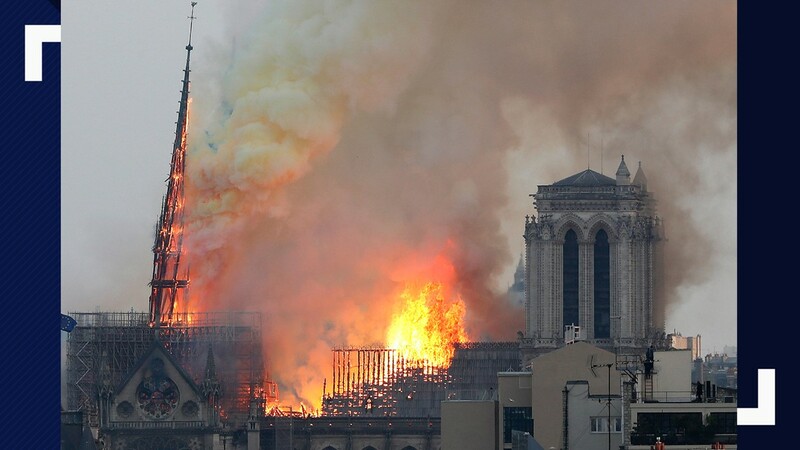 The pastor of St. James Cathedral had the bells ring out in Seattle in support of those in Paris at the Notre Dame Cathedral. 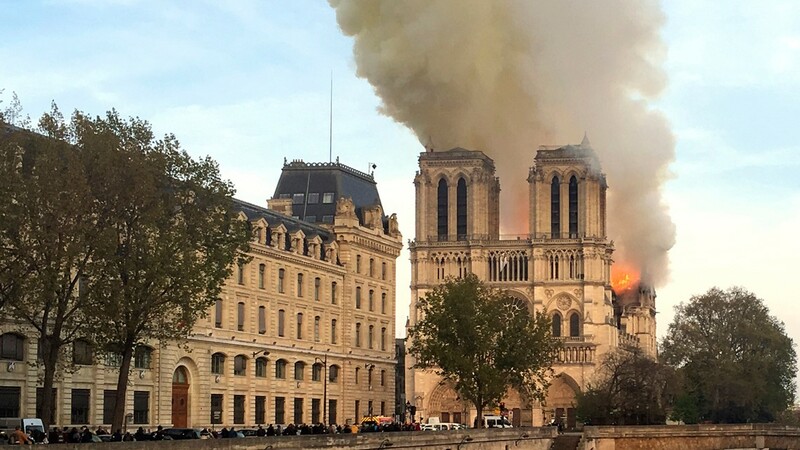 Heeding the call of the archbishop of Paris, St. James Cathedral in Seattle rang its bells to show solidarity after a fire started at Notre Dame Cathedral Monday. 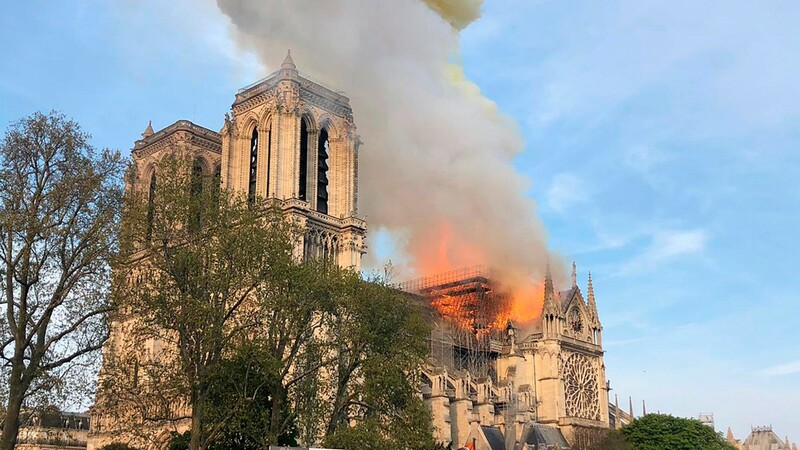 Father Michael G. Ryan said he wanted to ring the bells to be sign of hope. 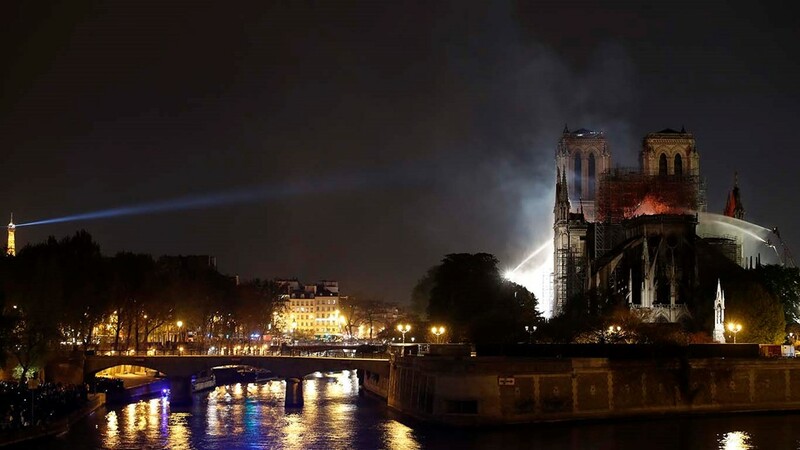 “The archbishop of Paris, part of his response to this has been to ask all the churches of Paris to ring their bells. I thought what an interesting thing because usually ringing bells is a sign of joy. We’re going to ring the bells of St. James to tell the world we’re with them,” Father Ryan said. 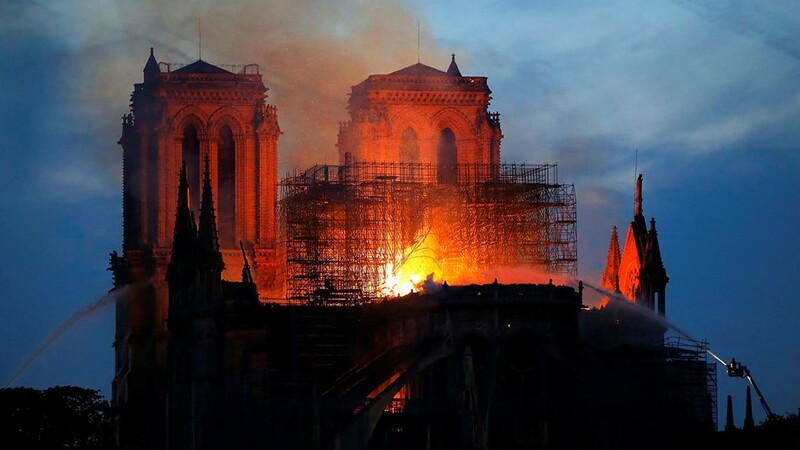 The spire of Notre Dame crashed down amidst the flames, and fire officials said two-thirds of the roof is destroyed. France’s culture minister posted photos of people loading art onto trucks. 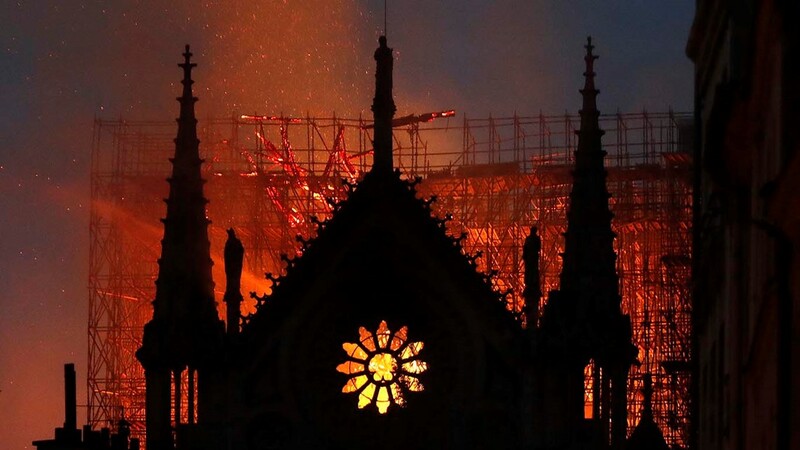 Relics were also saved from the fire. While the cause of the fire hasn’t been released yet, investigators believe it was an accident. 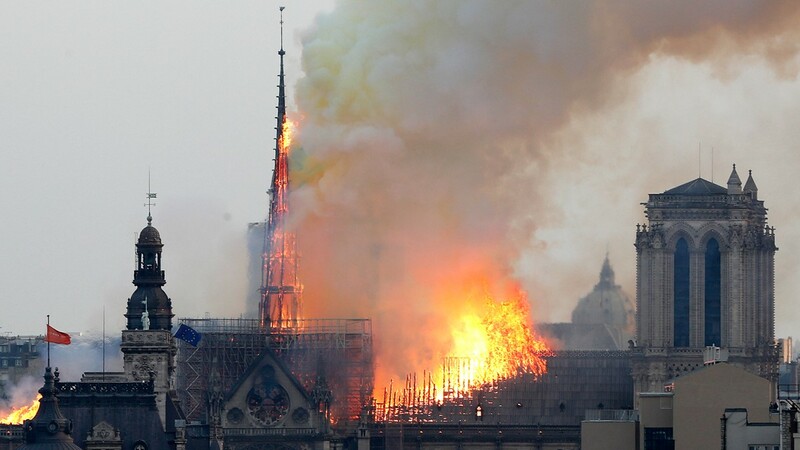 The spire was undergoing renovation, and scaffolding could be seen burning on the roof. 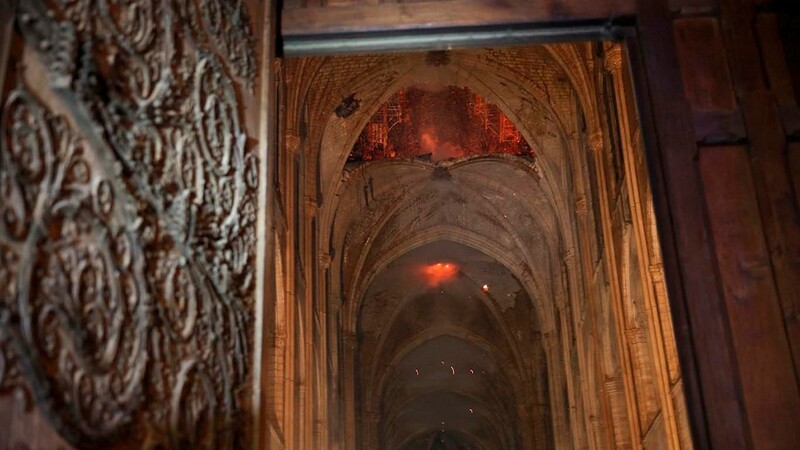 For Father Ryan, the Notre Dame fire reminded him of the fire that damaged St. James Cathedral 27 years ago. 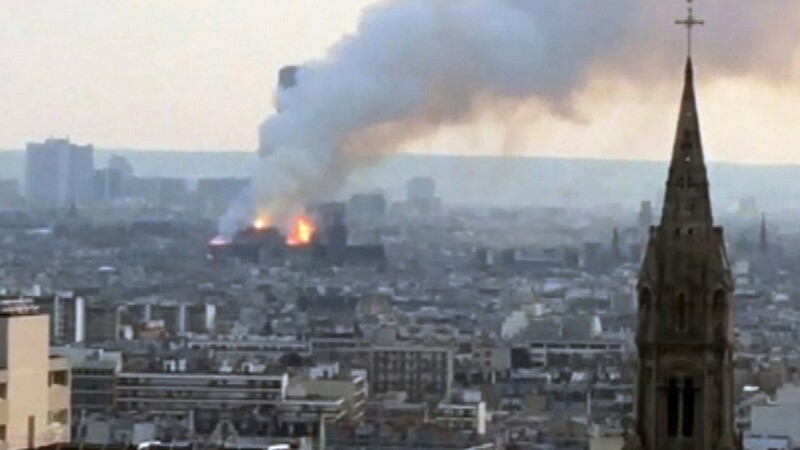 “I watched St. James go up in flames. It was March 7, 1992. We had an arson fire lit by a person who we had tried to help,” Father Ryan explained. “I remember standing there in the dark of night thinking to myself, I might be presiding over the end of this wonderful 100-year-old building. 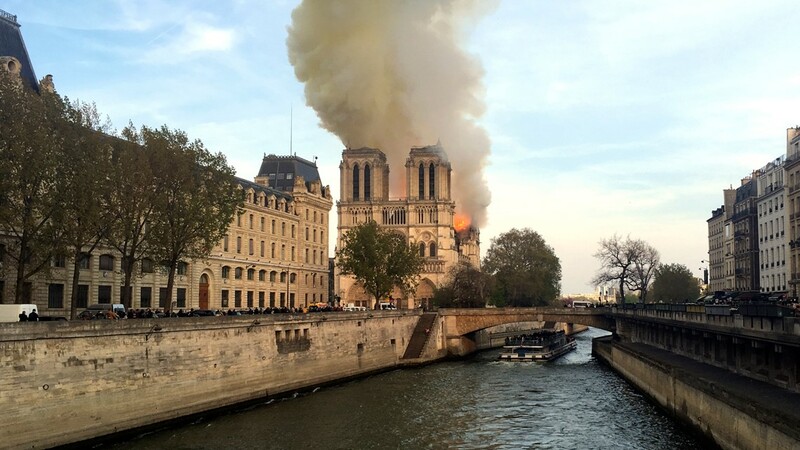 Father Ryan also said during the French Revolution, Notre Dame was seriously neglected. It wasn’t until the 19th century that the cathedral was restored to its landmark status. “It’s sat there on the banks of the Seine. This silent witness to faith. 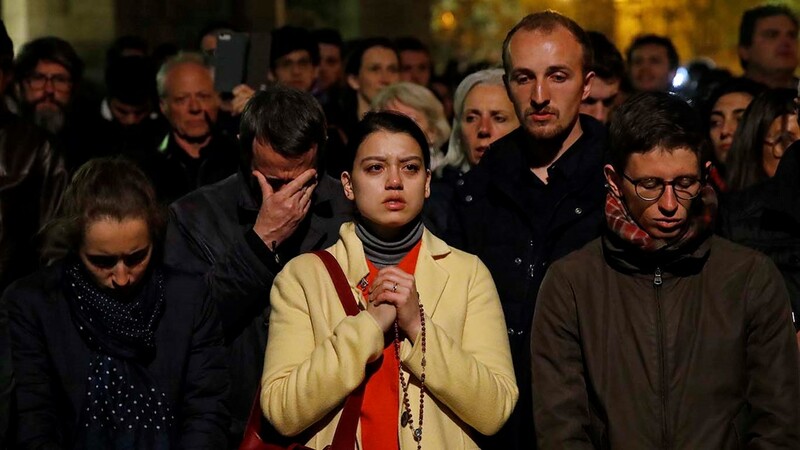 People gather there to pray; not just the people of Paris but from across the world. 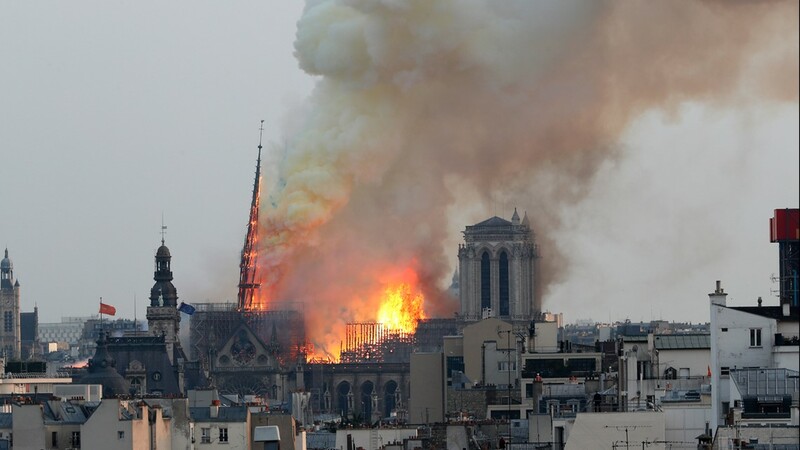 When they think of Paris, they may think of the Eifel Tower, but they think of Notre Dame, too,” Father Ryan said. During this holiest week of prayer for Catholics, Father Ryan expects many of them are asking Mary the Mother of God for help.